I've been playing the guitar and writing my own music since I was a teenager. I started playing the guitar with my Dad when I was pretty young--and believe it or not, I only had 1 string on my guitar at the time! Later I took classical guitar and composition lessons with the intention of becoming a full time musician and composer as my career. I almost went to college majoring in classical guitar/composition, but decided at the last minute to get into computer programming (starting with designing and writing game software). 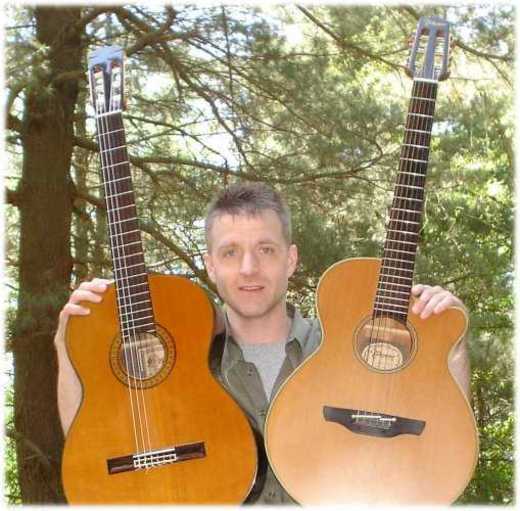 I enjoy writing and playing my own original music for classical guitar, steel string guitar, and a myriad of other digital instruments.